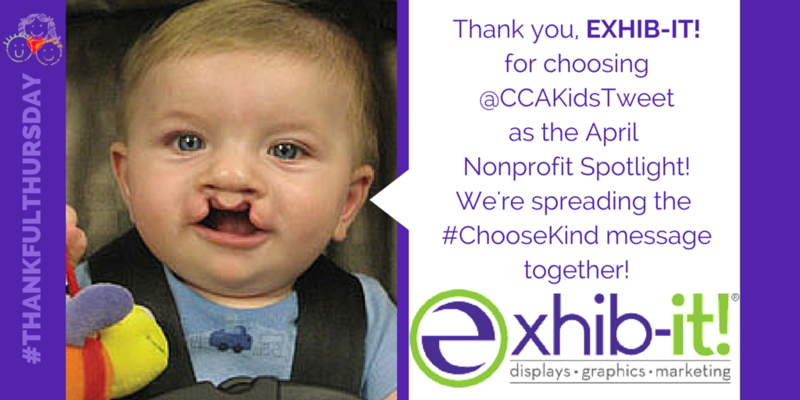 CCA Kids Blog: #ThankfulThursday - Exhib-it! in the lives of our CCA Kids by encouraging awareness and acceptance. and helping our cranio kids live full and exciting lives. Check out CCA on EXHIB-IT! “Best Frozen Dessert” – 2013, 2012 & 2011 winner of Best of Burque Restaurants, Alibi. For more information call (408-771-6437), or email Josiah at jtorres@exhib-it.com.